This soup is deep gold and bursting with flavor and nutrition – better than anything you’ll ever taste out of a can! It’s full of collagen, minerals, vitamins and is even healing to the digestive system. 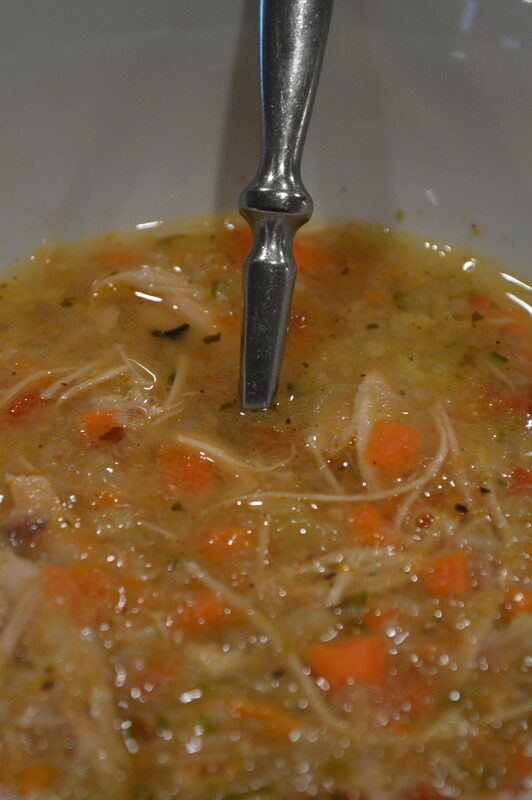 It’s rich and comforting to the soul and a nourishing remedy for colds or flu. I enjoy it for spring lunches, fall and wintertime dinners, and at least once a month all year around “just because”. It also freezes well and I usually have some stowed away for quick meals or illness that pops up unexpectedly. 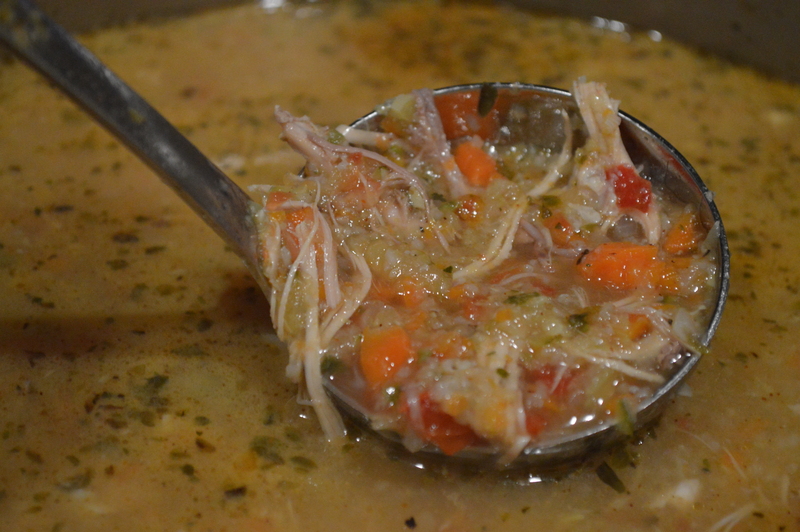 Cover chicken with water in a large stock pot. Simmer on low, sprinkled with 2 teaspoons of sea salt, cracked black pepper, Bird’s Eye or Cayenne and apple cider vinegar for 10 hours (I usually do this part before bed). Remove chicken from the pot and set in a large bowl. It should be falling apart so use tongs, a slotted spoon or a small strainer to scoop everything out. Remove the meat, shred with fingers and set aside. Return the rest of the chicken (including bones, cartilage, fat and skin.) to the pot to continue simmering for 4-6 more hours. 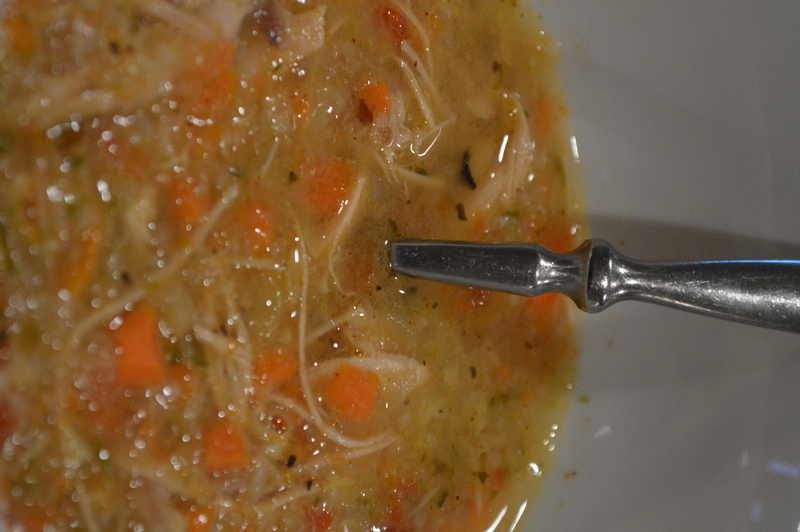 Remove all parts of the chicken from the broth with a slotted spoon or a strainer and continue to simmer broth. Mince (or use a food processor to make tiny pieces of: onion, garlic, carrot, celery and cauliflower. *cauliflower in Low-Carbohydrate version only. Add to the pot, stir and allow soup to return to a simmer. Mince/process softer vegetables: zucchini, yellow squash and tomato. 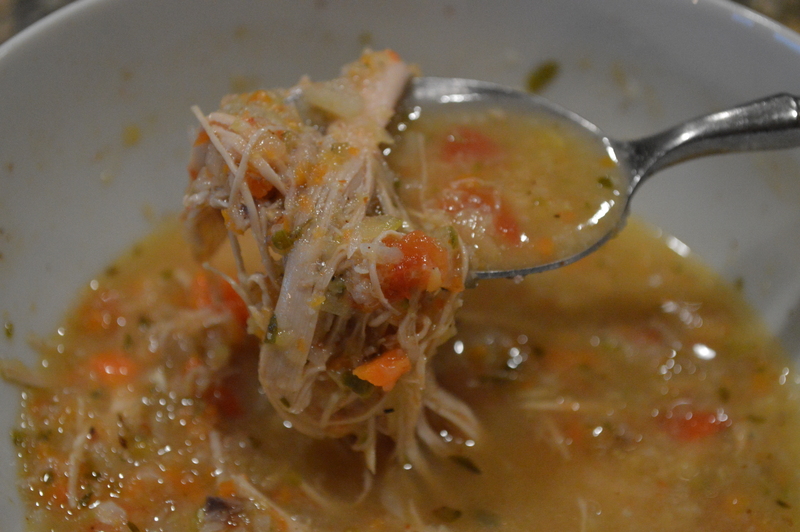 Add shredded chicken back into pot. Add oregano and more seasonings to taste. Cover and simmer everything on low for 30 minutes to allow the flavors to come together and mature. If you are on a strict Low-Carbohydrate diet, substitute 1 orange bell pepper for carrots. This is Wild-Haired Child #3 in our unkempt backyard this past spring. She loves wildflowers, as many young children do. They seem to naturally notice, appreciate and even get excited over what most adults consider weeds and a nuisance. She reminds me to take a break from dirty socks, calendars, and the unrelenting world of social media to quietly marvel at ordinary, everyday miracles that so easily get lost in all the chores. To observe the fuzz on the white spotted jumping spider and look long and closely enough to catch my reflection in it’s eyes – even if there’s still a little anxiety and disgust mingled in with the wonder. To rejoice in the first buds of a tomato plant and feel genuine awe and gratitude when a new species of bird alights on our fencepost. 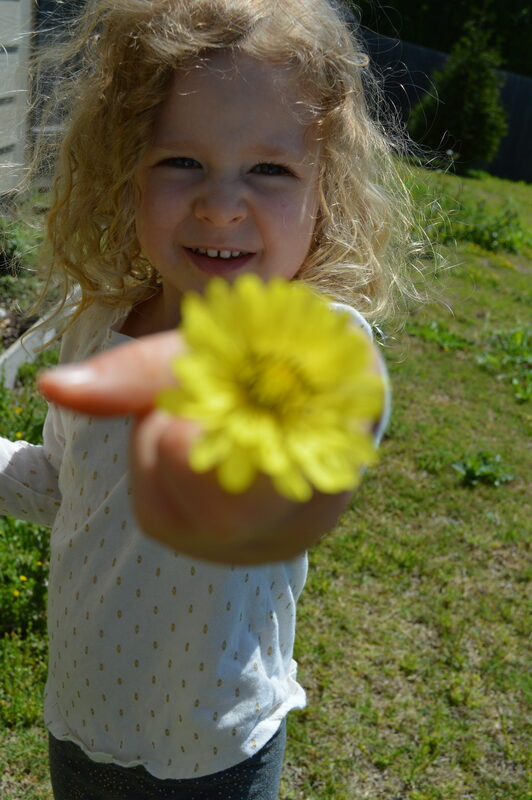 To stroke Child #3’s matted curls that she refuses to let me brush, tendrils that envelope her brilliant, inquisitive green eyes as she delights in the wildflowers we failed to mow in a neighborly manner. There’s so much to be afraid of, angry and disappointed over in this world. But if we can find true thankfulness we can know hope, peace, and joy in the midst of all that hurts, like wildflowers sprinkling a neglected lawn. And if we learn to see the little things there is no shortage. EVER. Of blessings to be thankful for. But your illusions of intellectual supremacy fade as the truth rouses open our eyes. And finite and futile are your imminent days as the awakened rise up and dismantle your lies. I’m not one to tell others what they should think or do. I am a relentless advocate of personal rights and responsibility. I make a point of encouraging people to critically evaluate information from different perspectives, form their own educated opinions and to make and own their decisions. It is doubtful that I will ever cease in that conviction and mission. As an extension of what I just mentioned, when it comes to certain specific topics like childbirth and vaccination, I don’t often publicly share the full extent of my own well-developed views so as not to overly influence that important opinion-forming process in others. But I have written poetry most of my life and I have decided to share some of it at the risk of repelling those who disagree or don’t understand. These blog posts will be less doula-esque in that I will not attempt to simply share resources while projecting neutrality. I’ve seen too much now – too much medical bullying, suppression of safe and effective natural options, manipulated “science”, mangled flesh and tears. So at this point, through this particular outlet, I will share some controversial personal sentiments openly and unapologetically. It is still my penetrating belief that others have the right and responsibility to develop their own thoughts and beliefs for themselves. I am convinced that many aspects of Western medicine have an important place in our world and that there are some outstanding doctors, nurses and other professionals out there. However, there is also a great deal of corruption and deception in this so-called “conventional” medical system that renders too many well-intended healthcare practitioners the unwitting accomplices of it’s crimes, and results in the needless harm and death of innumerable people. I see it regularly in many areas of medicine, perhaps most notably those related to vaccination and cancer treatment. The following words are born of righteous anger, passion and years of research and experiences. They are directed toward the nefarious individuals and systems that knowingly and repeatedly place profits ahead of people. Your reign of greed and ego-fueled carnage is unravelling. You monopolize wisdom, wielding scepter and crown, while your science is weak and your logic’s unsound. You brandish credentials as the curtain frays thin, and your impotent dogma’s found lacking again. Those who need to partake in your masquerade will. They’ll assault and defend or close their eyes and lie still. Don’t know what on earth I’m talking about? Maybe it’s time to do some digging of your own. I rarely look at my Facebook feed, but last night as I was scrolling through I came across a post by a Pharmacist where she provided a “Public Service Announcement” in which she warned readers of the ineffectiveness of some natural remedies for the flu. 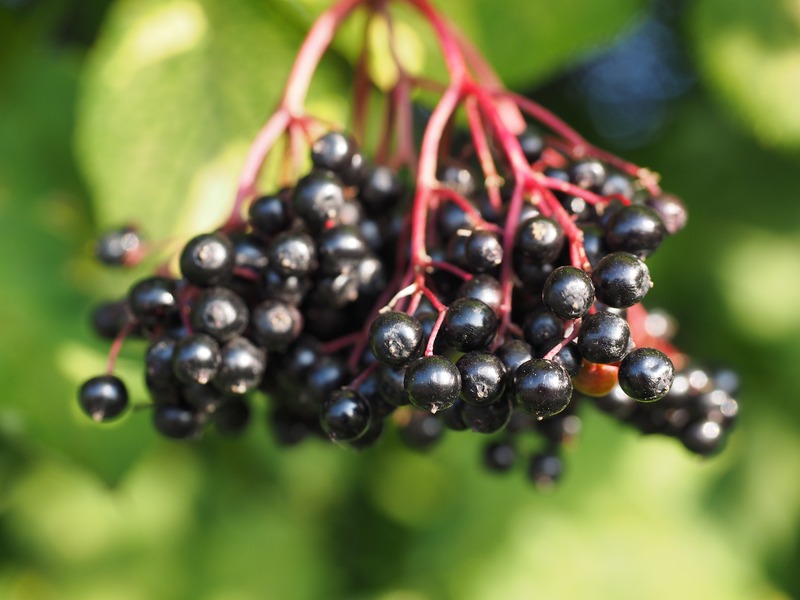 One of those remedies was elderberry (Sambucus nigra), which she claimed only shortened the duration of illness by a day or two. She did not list any of the sources she reported researching, but assured the trustworthiness of the information shared by reinforcing her credentials as a pharmacist. This is not uncommon amongst allopathically trained medical professionals (though this is changing! ), many of whom deny a layperson’s ability to critically consider various perspectives and to form opinions for themselves. I responded with links to studies that are critical of the Influenza vaccine and Tamiflu (conventional flu treatment), as well as links supporting the effectiveness of elderberry in treatment of the flu. Also included were the package inserts for Tamiflu and flu vaccines that list some serious adverse events to be aware of, as well as the CDC link to the ingredients in various flu vaccines. All of this was taken from mainstream sources. Though my comments were both civil and well referenced, they were marked as spam and deleted. Prior to that I received a reply or two with Simpsons cartoon gifs, a comment that indicated the reader did not actually go to my linked references, and a man linking his own study claiming it came to a different conclusion than it actually did, strongly suggesting he didn’t actually read the evidence supporting his own argument. These are also fairly common tactics in these discussions – making jokes and accusations, name calling, throwing out theories as if they are facts and outright evasion of debate by strategies such as marking a legitimate comment as spam or deleting it. None of these involve actual evidence or critical thought, much less respect for others as human beings. Science isn’t everything. It is limited as it is constructed and carried out by flawed human beings. Studies can even be deliberately designed to ensure an advantageous result, conclusions can be drawn that are inconsistent with the data acquired and studies can be altogether hidden away when research results are undesirable. Therefore an abundance of science claiming to support something doesn’t necessarily, while a lack of research doesn’t always indicate that a given option doesn’t have therapeutic value. The latter is particularly the case in natural medicine, where products of nature are un-patentable and therefore don’t provide the large profit margins/funding that pharmaceuticals are afforded. The former is perhaps especially relevant with regard to vaccine safety, where the standard is to not even use a real placebo (like a saline injection) in control groups, but a different vaccine or injection of other preparations that are anything but inert. Nonetheless, all types of evidence have strengths and weaknesses, including scientific, historical and experiential, among others. Elderberry is primarily discussed here to keep things simple. A few other natural strategies/options to research for immune system support during flu season are supporting fever rather than suppressing it, minimizing sugar intake, eating whole foods, getting enough sleep, vitamin D3, vitamin C, Homeopathic Oscillococcinum, Bone Broth, Raw Apple Cider Vinegar, and Thieves and oregano essential oils. Overall, remember that it isn’t the pathogen that determines the degree of illness a person experiences when they are exposed to it, but the state of that person’s immune system; and a well supported immune system can overcome just about anything. Below you’ll find links to some science on elderberry, flu medications and flu shots for those interested in views that differ from what is currently prominent in the media. Included events are neuropsychiatric events such as hallucinations, delirium, and abnormal behavior, in some cases resulting in fatal outcomes. Others mentioned are anaphylaxis and toxic epidermal necrolysis. Included are squalene, polysorbate 80, thimerosal, formaldehyde, monosodium glutamate and Madin Darby Canine Kidney (MDCK) cell protein among others. Keep in mind these are injected, not ingested therefore not subject to the protection of digestive processes. There are several vaccines and many adverse events. A few included adverse events are “Influenza-like” illness, convulsions (including febrile seizures), encephalomyelitis, encephalopathy, anaphylactic shock, Guillain-Barré Syndrome, facial or cranial nerve paralysis and limb paralysis. The pharmacist I mentioned earlier did not link to her sources but even if she is correct in claiming that elderberry only shortens flu duration by 1-2 days, that is better than Tamiflu, minus the potential for neuropsychiatric events and toxic epidermal necrolysis. A doula is a professional who provides physical, emotional and informational support to families in the childbearing/early adoption period and may or may not hold formal certifications. There are different types of doulas to serve women during pregnancy, childbirth, postpartum, and even during times of infertility or loss. Labor and Birth Doulas are trained in a variety of comfort measures that can ease pain and support the natural processes of labor and birth as an alternative to pharmaceutical pain management, or up until it is available. Emotions play a significant role in the health of pregnancy and childbirth, and doulas encourage and empower both mothers and their partners on this level as well, providing continuous, focused support throughout the childbirth process. Doulas are knowledgeable about a wide range of pregnancy and birth related topics and thus are a valuable informational resource, providing the full range of maternity care options that the expectant family may not otherwise be aware of. Doulas help families to become knowledgeable about all of their options and then encourage them to make their own educated decisions about care based on their unique situations and preferences. A doula is not a medical professional. She doesn’t perform clinical duties such as vaginal exams or blood pressure monitoring. These sorts of tasks are performed by obstetricians, midwives and other medical personnel. 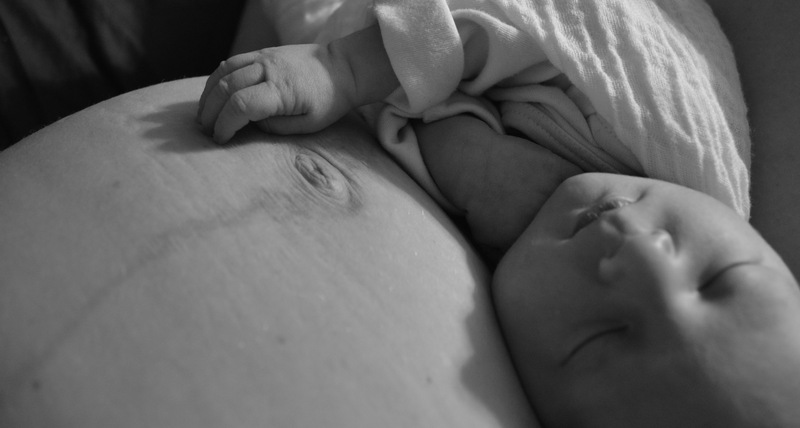 A doula does not give medical advice or make decisions for the expectant family. While many doulas have strong opinions and personal preferences when it comes to birth, their job is not to promote a particular agenda or pressure mothers to make the choices that they might make for themselves; rather, doulas empower mothers and their partners with the information and support necessary to form opinions and make decisions for themselves. 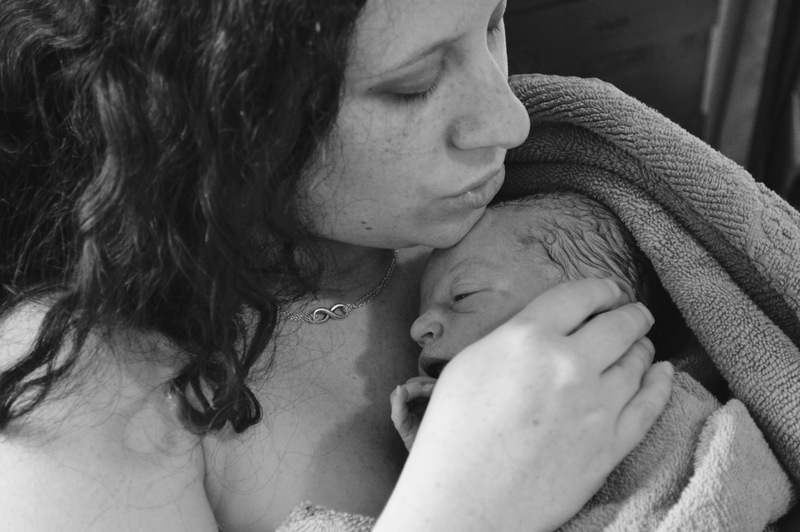 A doula does not replace the partner, but helps support all members of the expectant family according to the unique needs and roles of each person. Cochrane Database Syst Rev. 2013 Jul 15;7:CD003766. doi: 10.1002/14651858.CD003766.pub5. I struggle with body image sometimes, just like most women. In my head I know that being healthy is what’s important – that if I am eating and moving and resting well, the physical manifestation of that is my personal “healthy,” and healthy is more important than skinny. I don’t even like the word skinny. People are created in different shapes and sizes and women who are healthy can vary greatly in their outward appearances. For some naturally curvy women like myself, being “skinny” would reflect malnourishment and not health. For others who have exceptionally lean body types, the word can be hurled at them with disdain as somewhat of an accusation by women who are hurting and grappling with their own negative body images. I have stretch marks from my earlier pregnancies that have aged over the years into silvery ribbons. My pregnancy in my thirties didn’t yield those scars, but skin that has been stretched more than usual and gathers in ruffles around my navel and lower abdomen. I have decided that my ideal weight is evolving as I mature into womanhood, and I am giving myself grace to grow into my life and be changed by the seasons I walk through. 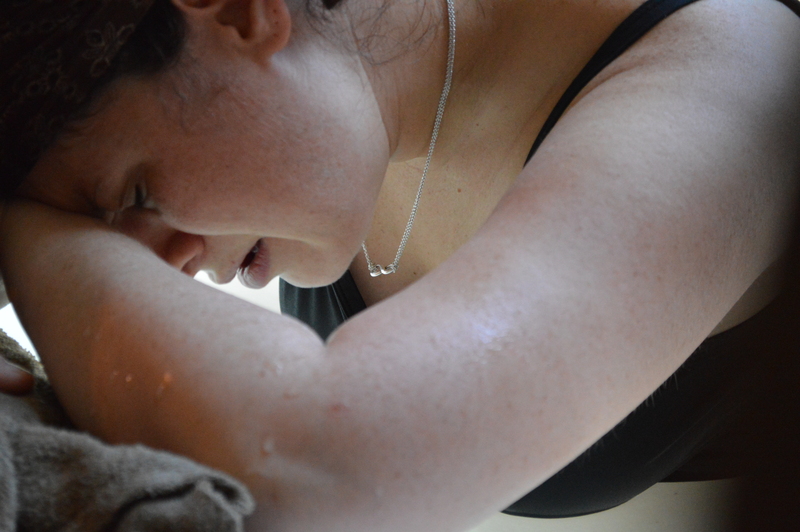 I struggled deeply with all of the body changes that motherhood ushered in when I was only in my early twenties. I don’t dwell on it as much now and there are certainly times when I feel strong and empowered by the marks of my life’s journey; but I’d be lying if I denied that there are moments when I feel insufficient and wonder what it would be like if my skin was smoother or tighter or if I weighed what I did before I had children, especially when I see other women openly self-loath and do everything in their power to erase or alter what they consider to be their own imperfections. And sadly I have been that person who has complained about her body in front of other women, likely on some level reinforcing their own self consciousness and shame. I want to overcome this for myself, for my daughters and my son and husband (it affects them too). I want to vanquish this, bone-deep in me, for the sake of a humanity obsessed with both the superficial esteem and the degradation that comprise the two-sided coin of our obsessive pursuit of perfection and our consequent objectification of our mothers, sisters, daughters and ourselves. I want to believe, with more than just my head, that I am good enough – that I am beautiful the way God made me, that life changes us inside and out and that that’s okay, even really good. I want my every cell to reverberate the truth that real health, and that includes peace with oneself, is more important than numbers on a scale and the unrealistic expectations of strangers. 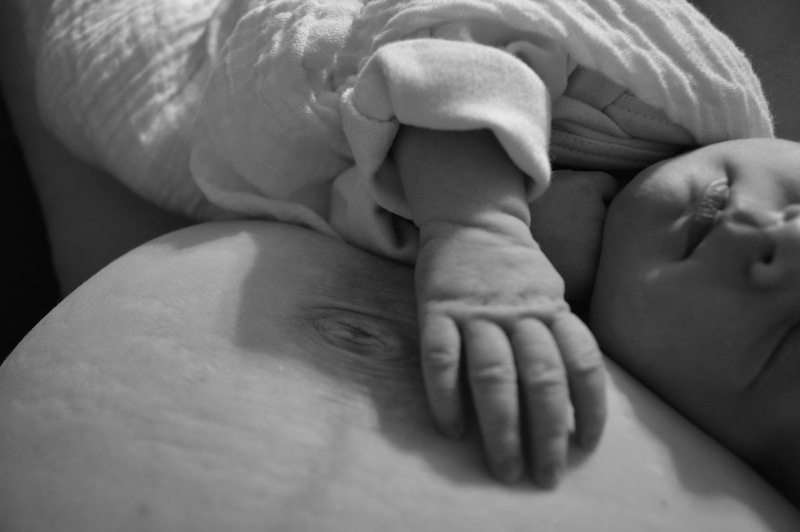 When my third child was three days old I looked at her and then at my fresh postpartum self, and in a moment of profound love and revelation I was inspired to photograph her alongside the belly that carried her. This is the body that enveloped her and the womb that swelled with love for her, the skin that’s silver scars whisper reminders of how I brought my older children earth-side, the marks that echo the story of my flesh and blood and entire intangible being growing and birthing all those beloved souls. When I look at these photographs I cannot help but love my body. It is frail in many ways because I am only human, but I was created with exquisite love and incredible purpose. And regardless of your story and whatever lies you find yourself tempted to believe, so were you. Some families plan pregnancies and their bodies cooperate flawlessly. Others struggle for years to have children and the sadness, frustration and financial considerations that often go along with infertility can be burdensome and relentless. Then there are also mothers and families who find themselves having babies before they’re prepared and they may feel afraid, lost or even angry. Pain hurts regardless of the circumstances surrounding our unique situations and I think it’s good to know that whatever your story is, you are not alone. 11 years ago I was 23 and overwhelmed with a mortgage, two naturally-conceived children, postpartum depression and a husband with a fresh vasectomy scar. 9 years ago, after I began to catch my breath with life and I’d learned to support the hormones that had sent me into a downward emotional spiral, I began to regret our decision to stop having babies. I began to learn about adoption in the bible and in modern times, and of how the bible describes God adopting Gentiles and grafting them into his family through salvation. 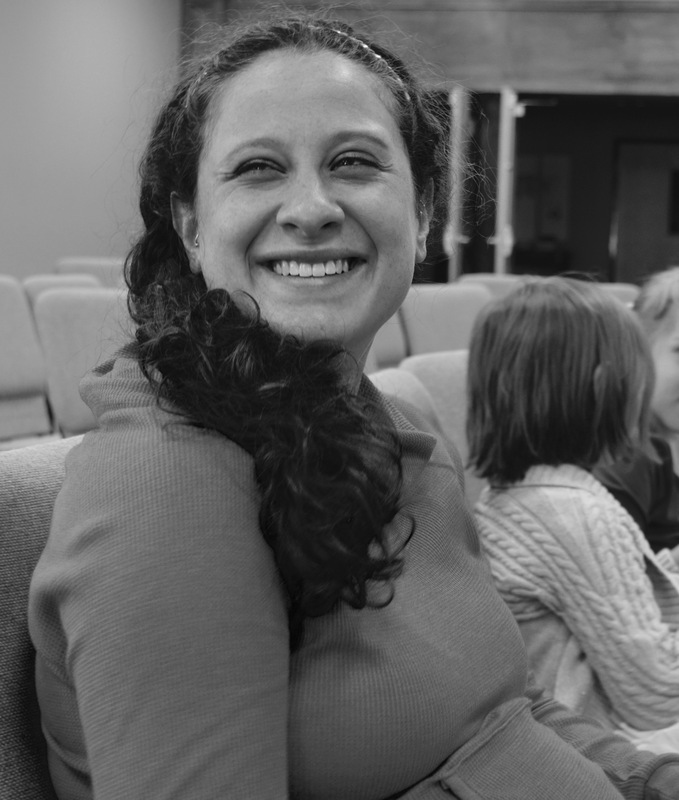 Moses was adopted and Exodus tells of his selfless, courageous birthmother as well as his compassionate adoptive mother. Jesus, was adopted by Joseph, who became his earthly father. Earthly adoption is not for everyone, but the story of earthly and spiritual adoption is woven throughout scripture and it’s beautiful. One night, in what turned out to be a long season of yearning for more children, I dreamed that I found a baby near the woods in a carseat. She was cold and blueish, as if dead. 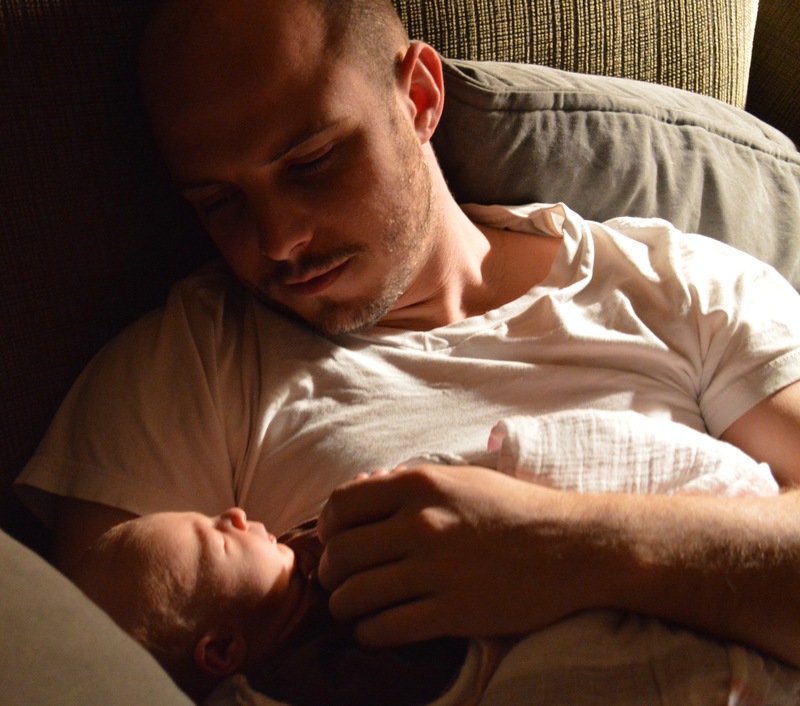 I instinctively took her out of the carseat, unbuttoned my shirt and placed her skin to skin against my chest. Gradually she turned pink and warm. She was alive! And somehow I knew that she was mine. Though I did not entirely understand that dream or whether it was even much more than my rambling subconscious, I woke up with a powerful desire to adopt. 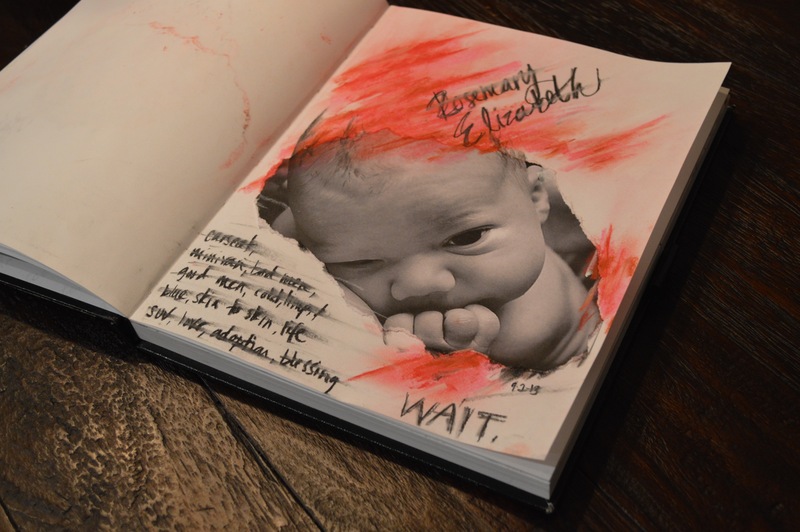 Years later when I was still waiting and aching for a baby I made an “art journal” entry about the dream. This is the journal entry I created in anguished longing for a child almost 3 months before we adopted embryos for the first time. 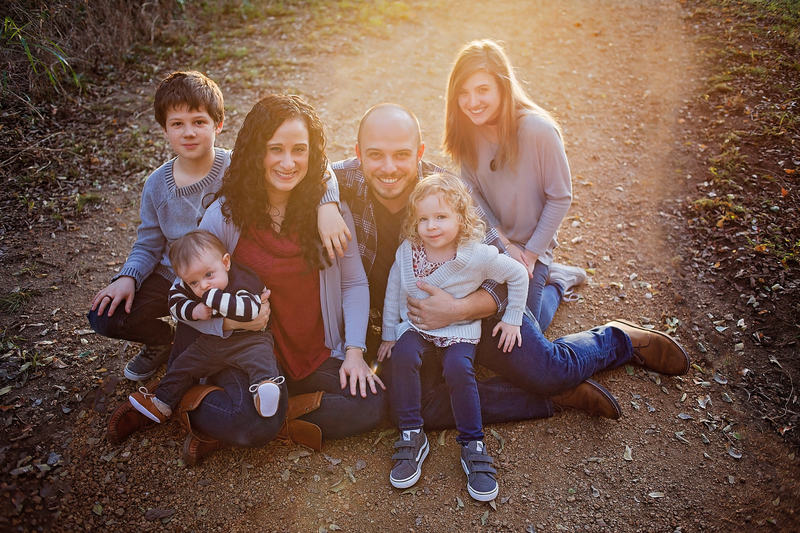 It was 2 years from the time I first began to desire more children that my husband agreed, and for a variety of reasons we decided it was best to adopt rather than pursue a vasectomy reversal. We wanted to be part of an open domestic adoption where we could love a child as well as his or her birth mother. We were honored to have the opportunity for a child to come into our family through the love and sacrifice of a birth mother who had decided that adoption was the best choice for her baby. And we waited. We waited for 3 years with an agency that we chose very carefully because it not only placed babies into adoptive families, but respected and genuinely cared for birth families as well. But the agency was small and the fact that we already had two children did not make us desirable in the eyes of the average birth mother. Then one day our social worker mentioned something called “embryo adoption”. When families do IVF (in vitro fertilization), usually because they have trouble conceiving naturally, they often have excess embryos after they’ve decided for whatever reason that their families are complete. These embryos can be frozen at slightly different times, but freezing usually occurs after the egg and sperm have been fertilized and the embryos have grown in a petri dish for 5 days. Every embryo is unique and genetically complete (besides epigenetic factors that will come into play in the womb and throughout life) and at 5 days post-conception they are generally known as blastocysts. When a family has extra frozen embryos their options are to discard them, donate them to science where they will be destroyed, freeze them indefinitely or allow/choose a family to adopt them. In embryo adoption the embryo is transferred into the adoptive mother’s womb and she is able to carry and give birth to her child. I was astonished that such a thing was possible, and I remembered my dream from years earlier about the cold, blue baby that became warm and pink and mine when I tucked her into my shirt! After publishing a profile on an embryo adoption matching site, we were quickly contacted by several families. 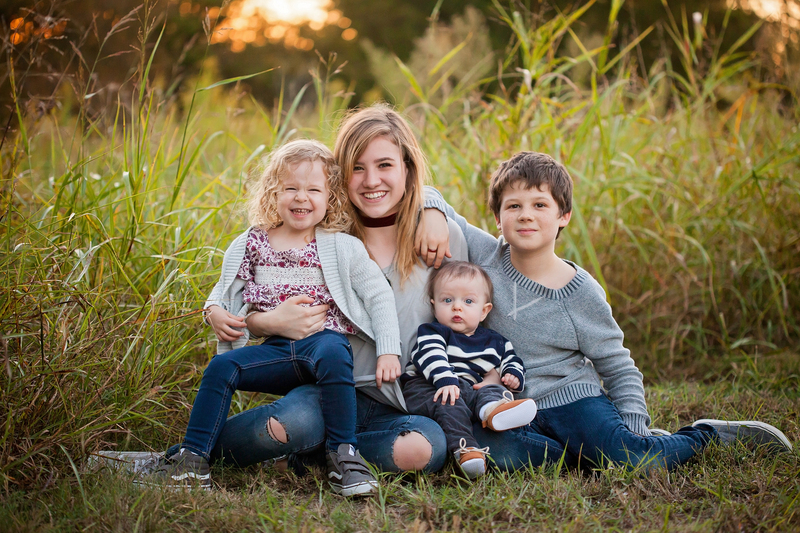 We found a family that was a great match and they actually saw the fact that we already had children as a benefit, since we were experienced as parents and the babies would have parents and siblings to love them! Several months later we adopted 3 embryos from them in an open adoption. 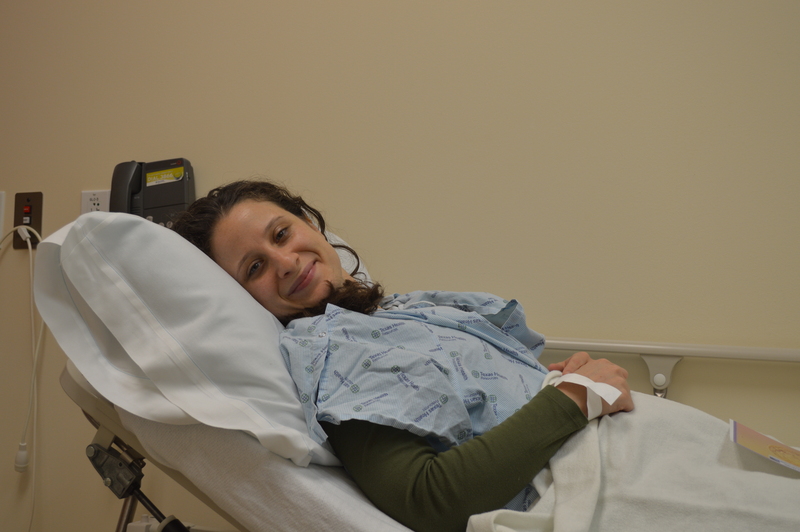 I was able to do an unmedicated cycle with just the support of some supplements and we transferred (a procedure where they place the thawed embryo into the uterus) one embryo that was lost early on in a chemical pregnancy. Another died in the thawing process. The third embryo implanted, thrived and, after the shock wore off, I treasured that pregnancy like I never knew was possible before. Our first embryo transfer. Even though this little one and one other embryo didn’t make it, I know that they were unique individuals with genetic codes that never existed before and will never be repeated. I believe that I will see them again someday and I will always be grateful for the honor of having a role in giving them a chance at life. 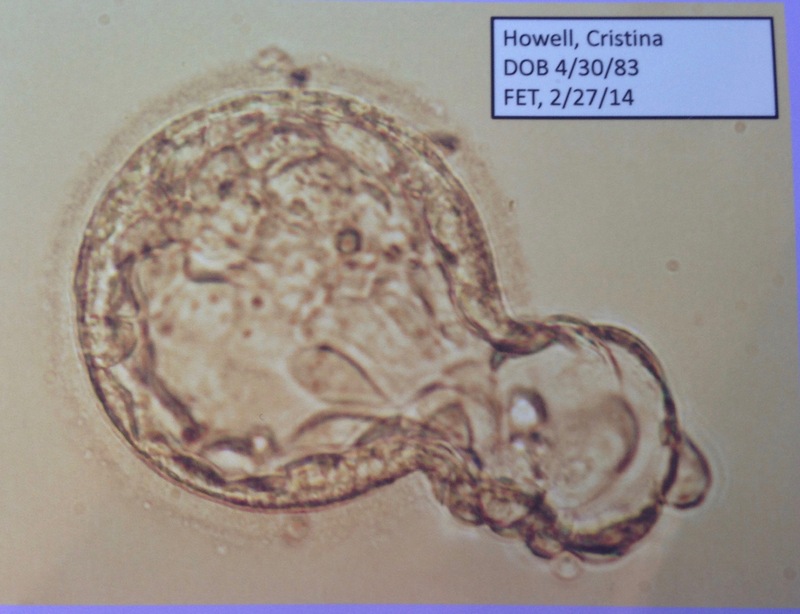 Our daughter Rosemary as an embryo. The big kids were so excited! 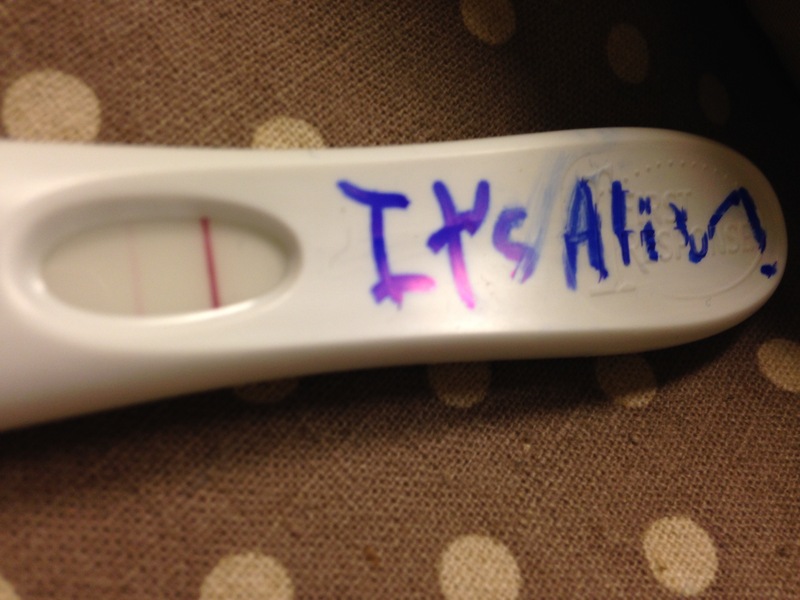 Jocelynn wrote “It’s Alive” on the pregnancy test! 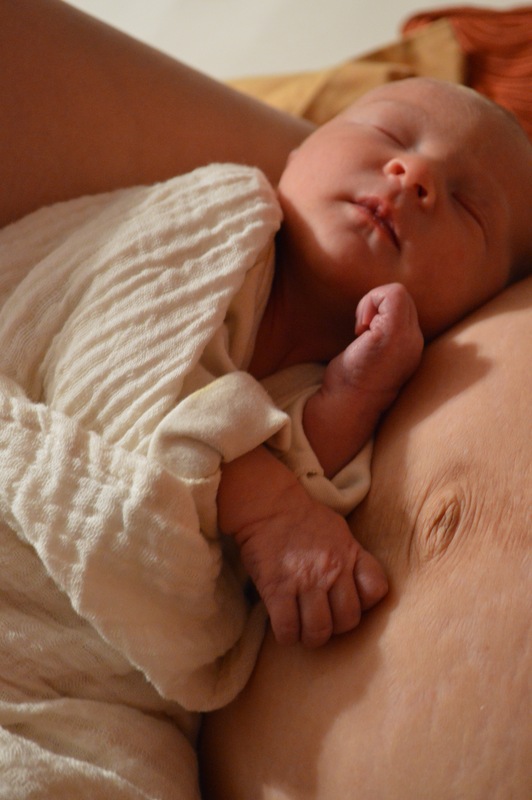 About a year after adopting the embryos, and after a total of 6 years of waiting, our daughter Rosemary Elizabeth was born. She recently turned 3 and she still takes my breath away. I am just so humbled and honored that that her genetic family chose us and that God allowed us to be her parents. We just could not love her more and we believe that her story is unique, special and to be celebrated. I could sob right where I sit just thinking about it all. When Rosie was about 6 months old we started looking for more embryos to adopt. There is a large age gap between our genetically conceived kids and Rosie and it has been very important to us that she has a sibling close in age that comes to us through adoption, like she did. After a year of searching for another private embryo adoption match we were chosen to adopt 4 embryos from a wonderful family with whom we have another open adoption. 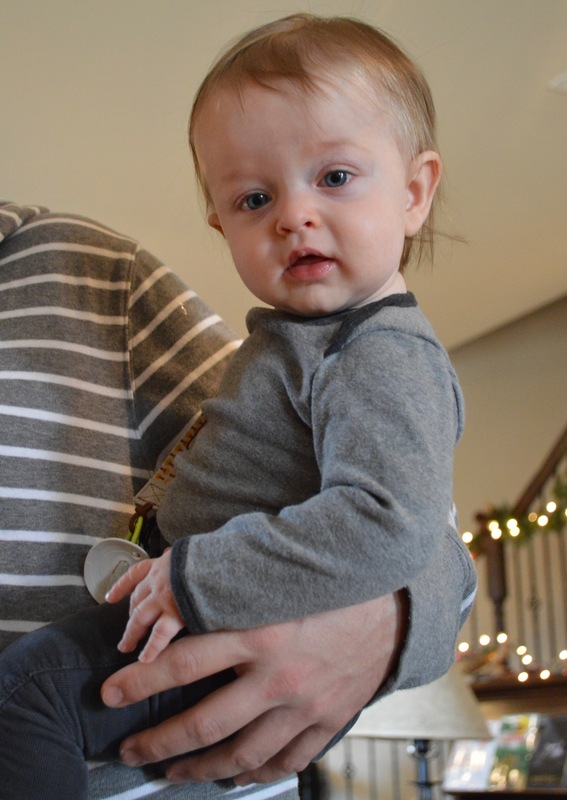 After the first single embryo transfer I became pregnant and Noah Sage is now 8 months old. This is the Tiffany infinity necklace that Rosemary’s genetic mother gave me to represent our eternal connection and love through adoption. Now she, I and Noah’s genetic mom all have a piece of jewelry from this collection. Just after the birth of Noah. We were prepared for some bonding challenges when we were pursuing infant adoption, but we have not experienced any with embryo adoption. It has actually been easier to bond with our younger two children initially, I imagine because we’d waited so long and worked so hard to get them, I wasn’t experiencing postpartum depression and were were just overall in a different place in life. We are currently in the process of placing our remaining embryos with two families who have become our friends and will also share in open adoptions. Some of our children came to us in an unusual way. We are blessed beyond description to have these kids in our family and that we are able to stay connected with their genetic families – the souls who gave them their genetic heritage, did everything in their power to give them a chance at life and who love them endlessly. I am so incredibly thankful that I can tell our children where their eye colors came from, laugh at the resemblance of certain facial expressions (so far there’s a lot of “nature and nurture” influence here!) and most of all, see them assured in a unique way that they are cherished by all of the people who took part in their origins. There are many types of adoption arrangements out there from completely anonymous to every shade of semi-open and open. People cite various pros and cons for each option and it is a very personal choice. Adoption is not for everyone. Open adoption is not for everyone. But I am so glad that it’s part of our story. I do not feel threatened by or in competition with the families we are connected with through adoption. My husband and I are mom and dad. But I consider our kids’ genetic moms my sisters and their families our extended families. I just feel that we all have more love and support in our lives now, and my heart is radiant with joy and gratitude. 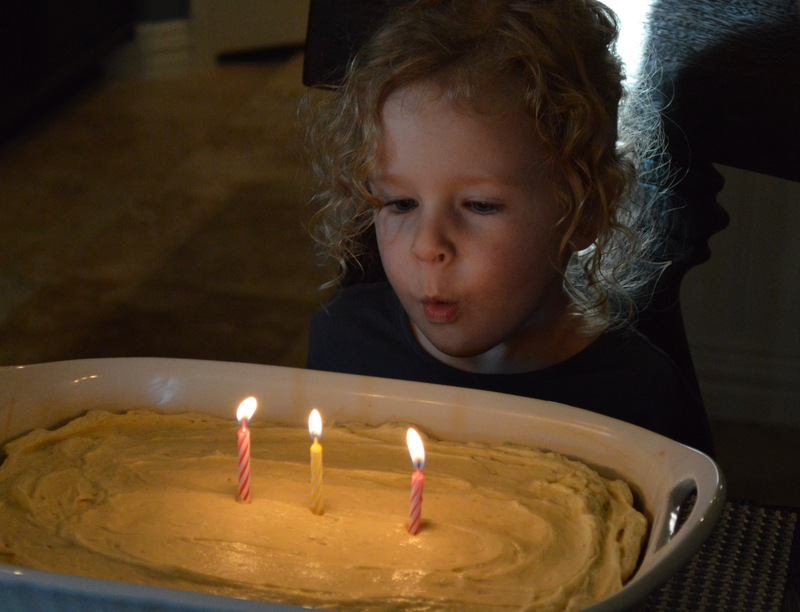 Rosemary Elizabeth on her third birthday. Noah Sage at about 7 months old. *Legally the process described above is considered “donation” rather than adoption, as governments tend not recognize the personhood of embryos in this context (though in others such as inheritance and certain violent crimes some seem to) and therefore generally it is legally deemed a transfer of property. I define it as very early adoption because to our family and to the families we have adopted from that’s what it is, even without a law to validate that for us. Thoughts and beliefs about when life begins, the motivations of families involved and other factors may influence whether a person distinguishes this process as adoption or donation. *Some fertility clinics offer embryo donation programs. These are usually anonymous. While it’s still summer I want to post one of my favorite easy appetizers. 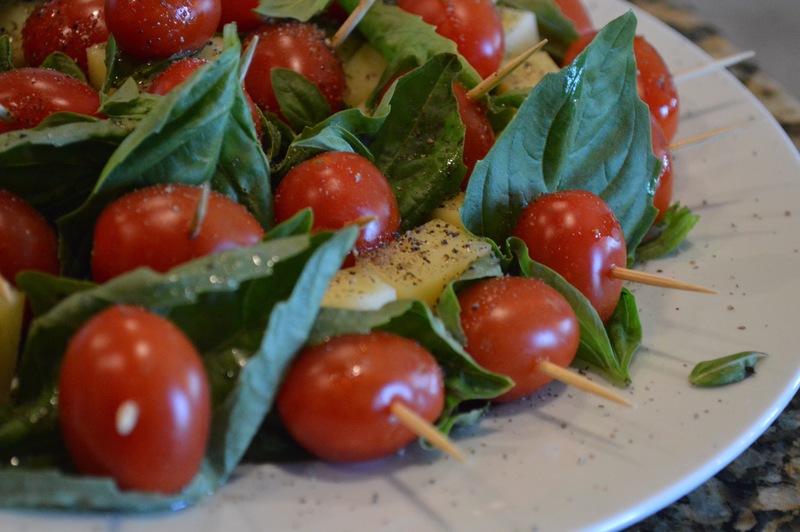 I call them Caprese Sticks and they are just a portable twist on Caprese salad. They make great snacks too! 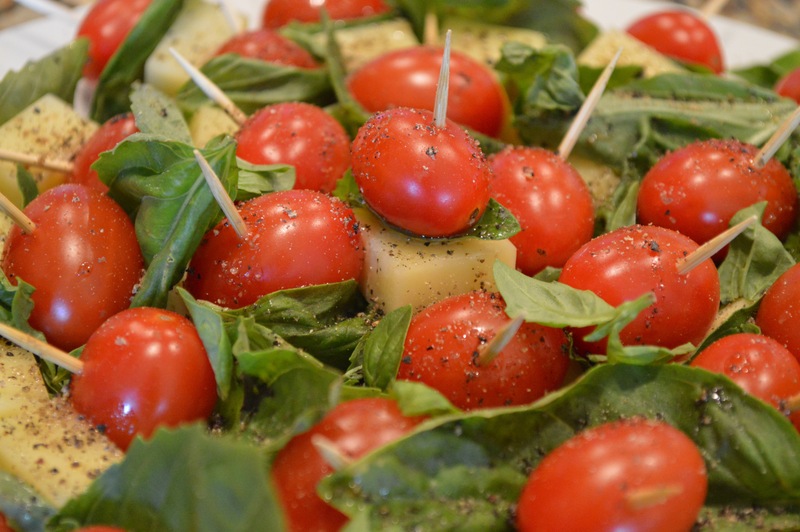 On each toothpick alternate skewering a cube or ball of mozzarella, a whole basil leaf and a tomato. 2. Arrange the Caprese Sticks on a platter. 3. Drizzle all over with olive oil until each stick is lightly coated. 5. Add freshly cracked black pepper and red chili, if desired. *Avocado chunks can be used as a substitution for the cheese as a satisfying, dairy-free option. 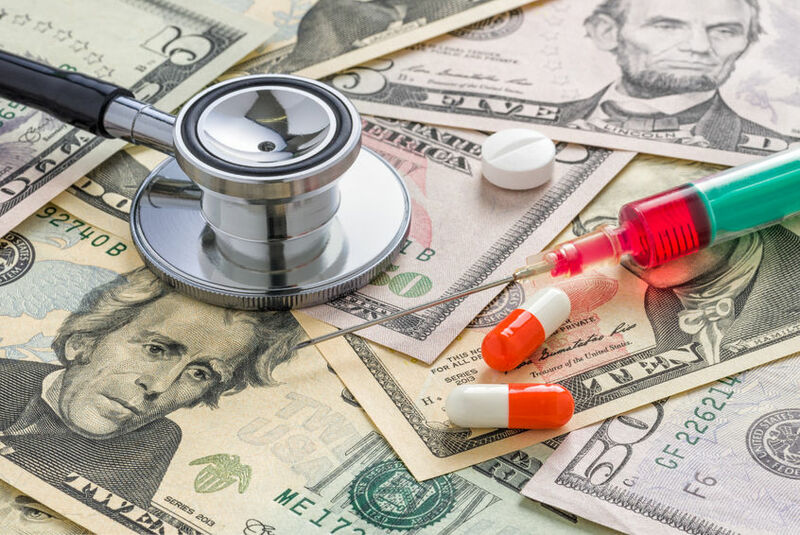 Did you know that the pharmaceutical industry is a significant funder of primary and continuing medical education, mainstream media outlets (via advertising), medical research, and that they spend enormous amounts of money lobbying the government ? Are you aware that 9 of the top 10 drug companies spend more money on marketing to doctors and consumers than they do on research and development of their products? Did you know that the very drug companies that stand to profit from their synthetic, patentable creations also design and conduct the research they present to the FDA attesting to those drugs’ safety and effectiveness? Did you know that legal loopholes allow the FDA to receive funds from the drug industry they are purposed to regulate and that there is a figurative revolving door of employment between the FDA and pharmaceutical companies? Are you aware that even “independent” non-profit organizations frequently receive money that originated with the pharmaceutical industry? Currently, healthcare in the United States is inextricably bound to pharmaceutical medicine – a type of medicine that primarily utilizes drugs and surgery to suppress symptoms of disease rather than uncovering and addressing root causes so that symptoms can resolve themselves to reflect true healing. The United States does not embrace our modern conventional system of medicine because the aforementioned professionals and entities have fairly evaluated all options and deemed pharmaceutical medicine the best option. They do so because virtually every influential organization involved with healthcare in the US has conflicting interests with the drug industry. I am not saying that there is never a need for pharmaceuticals or that they’re all bad all the time as some can be lifesaving, especially following emergency situations such as a car crash. I am not suggesting that the average medical doctor is not sincere or well intended as he or she may very well be. I am asserting that, if you want to be responsible for your health and your family’s health, you should develop informed opinions on health and on your options based on all available information – absolutely including those resources not sanctioned by the mainstream system which, again, is highly influenced by drug companies and is also often biased against natural and holistic approaches. And when you do critically consider all available resources you may be surprised and/or horrified at the benefits and risks related to many common Western healthcare practices that are not openly and honestly acknowledged or are even suppressed. 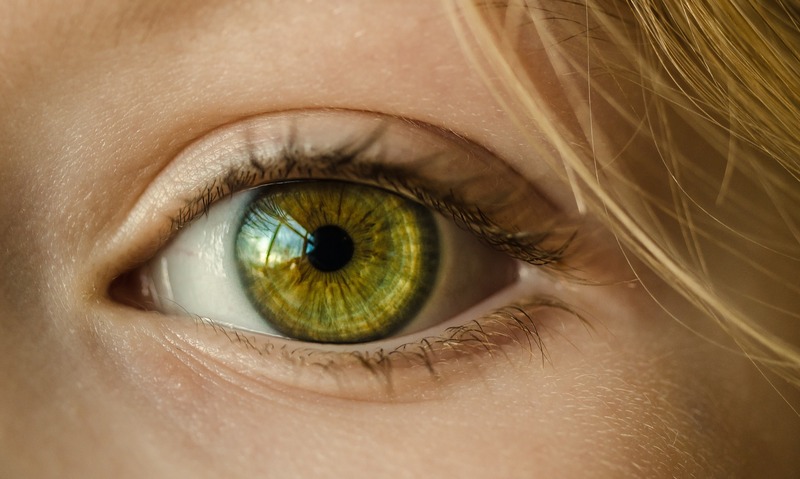 You may be astonished at the safe, effective and comparatively affordable alternatives to mainstream treatments that are available to you, and your life may be changed by all the things you learn and the opinions you develop in the process. Maybe not and that’s your business. But if you want to truly be an educated consumer you have to make that journey for yourself with an open mind and heart and just see where you land. Associate Professor of Medicine at UC San Diego, Beatrice Golomb discusses rampant conflicting interests and corruption amongst pharmaceutical companies and mainstream medical publications. To date, this is my favorite photograph. I took it as a senior in high school on a Nikon 35 mm SLR. 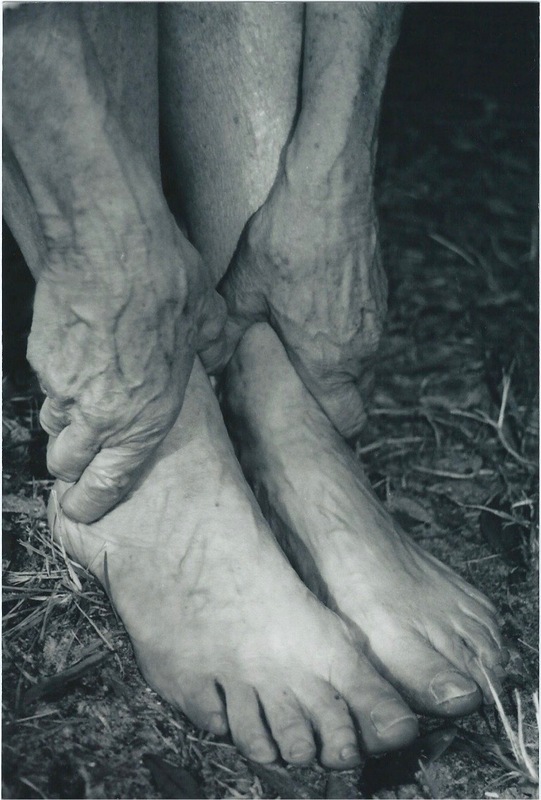 These are the hands and feet of my late grandmother, Myra Lee Pullis. We called her “Granny” and I have the sweetest memories of her and the pure and simple love that she lavished on me. I remember spending the night at her house and eating canned chicken soup for lunch (Granny did not care much for cooking) on old bronze and wood veneer TV trays, picking ripe blackberries on our neighborhood walks, and savoring the nectar of the honeysuckle that climbed the back of her chainlink fence. I remember curling up in her soft, thin lap in the evenings while she sank into in her cushy, brown, ribbed fabric recliner watching Wheel of Fortune and scratching my back, then bathing in rose scented bubble bath in her turquoise tub, and sleeping in her cozy full-sized bed with her and my little sister while a box fan whirred all night on a nearby dresser. She didn’t have a lot of money and our activities were rarely extravagant, but she cherished us and always made time for us. I will never forget that. Or her. She thought I was a certified pistachio when I asked her to take her shoes off in my mom’s backyard so that I could photograph her hands and feet for art class. But this was not a novel sentiment for her to express or for me to inspire, and though I attempted to reason with her about the beauty that I saw in her aged appearance, she did not understand or require such explanations and proceeded to comply in trust and good humor. But the beauty I see in this image still makes my heart ache. I see wisdom and the marks of a long life granted to a sweet soul. I see the wear of grief, joy, worry, work, accomplishment…of life. I see skin stretched thin with toil, bones that protrude slightly in remembrance of all the long walks she’d liked to take, the heads full of curls she’d taken such pains to brush gently. Her blood vessels, swelling in reflection of their long use and faithful service to a woman who’d spent herself caring for others. That is beauty. To love. To spend yourself loving God and people. To know and to see the gift in a life well-lived, however lengthy or brief it unfolds to be. And all the scars, wrinkles, imperfections and reflections of our journeys – to embrace that they represent the opportunity we’ve been given to live and to love at all.